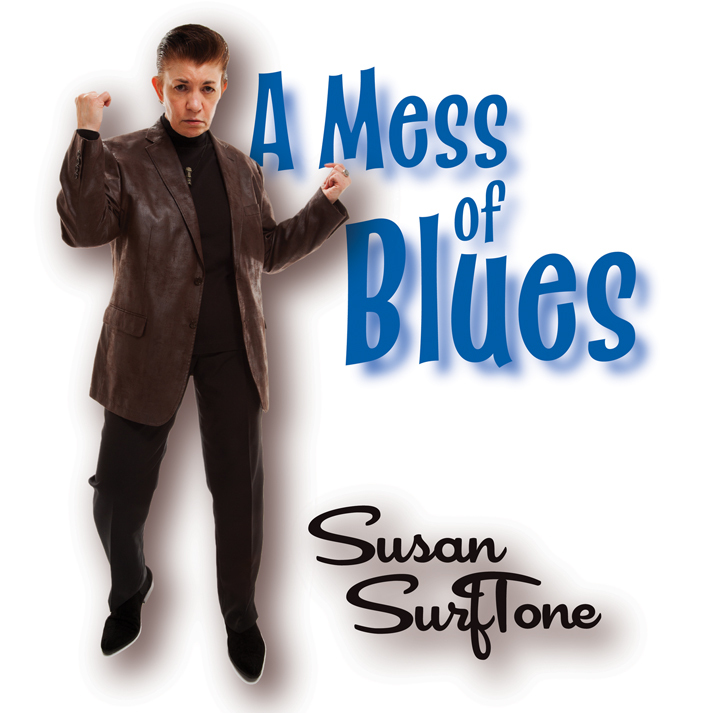 Susan Surftone slated to release her brand new single "A Mess Of Blues” on Dec. 22 via CD Baby. The b-side of one of Elvis' biggest hits, "It's Now Or Never," released in 1960, "A Mess Of Blues" is a gem of song written by Doc Pomus and Mort Shuman, that didn’t get the attention it deserved. "Pomus was one of the great songwriters from the 1950's and 1960's. I wanted to record something he wrote. It's always fun for me to bring some of Elvis into my singing style. It's done with a wink and nod, “ Susan Surftone said. Surftone is already poised to make a lot of noise in the New Year. Bongo Boy Record has confirmed picking up her singles "Bottom Of My Glass” and the garage mix of "Up Down And All Around” for their "Out Of The Garage Vol. 3” compilation due out Jan. 24, 2017. In addition, the former FBI agent turned surf-guitarist and singer/songwriter will be releasing her new EP in the Spring of 2017. The title is "Making Waves Again" mostly in reference to her budding new career as a political big mouth writer (see list of her op-eds below). A tour is currently in the works for both the East and West coasts. Dates will be announced early 2017. Surftone is one of the most amazing & underrated surf/rockabilly guitarists. Early on, she defied convention by learning how to write and perform electric guitar music instead of contenting herself with listening and dancing along (like most other girls) to the day’s big boy bands. Through the years she has always been a strong advocate of encouraging girls to play guitar and start bands, and while she may be a rarity in the genre of surf rock, she certainly now has a prolific discography recorded with her previous bands not to mention her solo albums. Her story is one of inspiration and motivation positioning her as a role model for many.